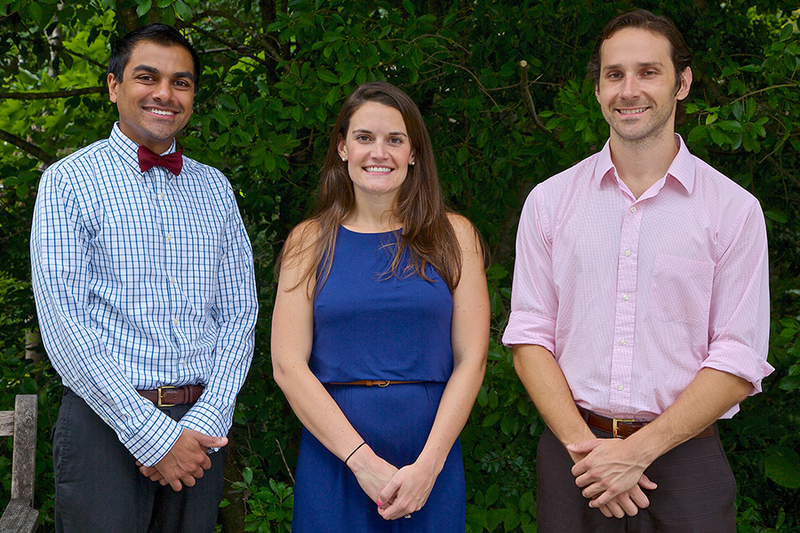 Three new chief residents have been selected to lead our program: Jay G. Patel, MD, Bethany Milliron, MD, and Keirsun Crockett, MD. Each academic year brings newly elected chief residents for our Diagnostic Radiology Residency Program. The chief residents are selected by votes from both the faculty and residents. Although there are no specific criteria, prior participation in residency program activities and leadership qualities are typical attributes. Once selected as chief residents, these individuals take on numerous duties that range from coordinating various resident activities, creating the resident daily rotation and call schedules, assisting in residency candidate interviews, and serving as a liaison between the faculty and residents on a variety residency related issues. Success as a chief resident requires the ability to balance being a peer to and a supervisor of the residents. Over the last two years, Eleza Golden, MD, Robert Hosker, MD and Thomas Loehfelm, MD served tirelessly as our chief residents over a longer term than normal because of changes to our curriculum and the timing of the ABR core exam. They contributed a great deal to the success of our program and their efforts should be applauded. As they move forward in their careers and on to their fellowships, three new chief residents have been selected to lead our program: Jay G. Patel, MD, Bethany Milliron, MD, and Keirsun Crockett, MD. On behalf of the leadership team, I want to say thank you to our outgoing chief residents for all their efforts and congratulations to our incoming chief residents.